More on the Latest Landscape Trends: Which One Is Right for Your Minneapolis MN Home? Keeping up with the latest trends in the world of landscaping can be fairly time-consuming. There are, after all, quite a few people out there around the Minneapolis and greater Minnesota area who are very interested in making changes to their landscaping. And their tastes often seem to change on a daily basis. Each of these elements requires very specialized help in installing them as well as care in maintaining them. 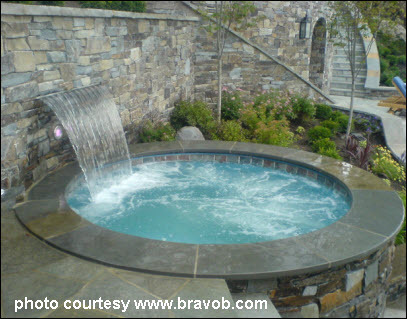 Check out one of our previous blog posts on the enchanting world of water features. For some visual inspiration, you can visit our Pinterest Water Feature Ideas board. Patios and decks have also grown in popularity in recent years. These kinds of elements have been known to add a touch of class to the landscapes of many homes. As with water design elements they will clearly demand the help of a landscaping professional so that you get the look you want as well as one that complements the style of your home and the overall look of your property. Architectural Landscape Design can assist with these and a wide range of other ideas to help you beautify your Minneapolis area landscape or garden. Our experience and expertise means we are able to work with landscape design trends (as well as traditional schemes) and help you turn your landscape dreams into reality. To begin putting together your dream landscape, get in touch with us today for a free consultation – call (952) 292-7717.